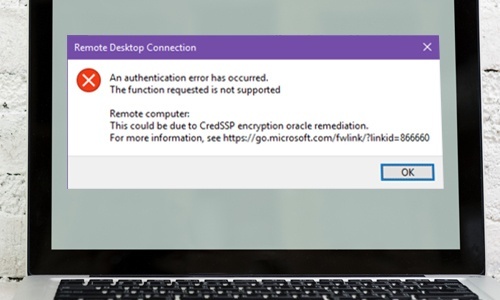 You may see this authentication error when attempting to log in to a server using RDP (Remote Desktop). The issue generally impacts Windows Server 2012/2016. The new error message, added by Microsoft on May 8, 2018, indicates a specific patch issue.